Irving M. "Bud" Fried, an early contributor to Stereophile, hails from the city of brotherly love, and I must confess to finding it difficult avoiding a few brotherly jabs at Mr. Fried's name: something like "this Bud's for you" would surely not escape deletion by our conscientious Editor. And what if I should happen to complain of a dried-up or "Fried" quality in the upper midsJA is bound to object to this breach of good taste. Well, having gotten that off my chest, you'd be interested to know that I consider it quite appropriate that someone from Phil-a-del-phia should be in love with transmission-line enclosures; the name is almost as convoluted as a trip down a folded line. If anyone can be said to be the guru of the transmission line, that would have to be Irving M. "Bud" Fried. He has been promoting the design for years now, first with the made-in-England IMF designs, later with the designs of Fried Products, made right here in the US of A. He has long been convinced of the basic superiority of the design, and still uses it in his top-of-the-line systems. But true transmission lines are invariably big, heavy, hard to build, and, for all of those reasons, expensive. Essentially, they involve a long, convoluted, heavily damped tunnel behind the bass driver which channels the back wave to the outside world. The length and cross-sectional area of the tunnel are of some importance, although the technical basis for the transmission line, as applied to a loudspeaker enclosure, has never been firmly nailed down. Certainly there is no mathematical model for the transmission line as complete as that developed over the past two decades for the sealed or ported box (footnote 1). But Bud Fried has clung to the transmission line, for all of its complexities. In order to bring at least some of its touted advantages to a lower price point, he had to come up with a variation which would work in a smaller enclosure. That variation was the "line tunnel," which, according to Fried, originated in an early-1970s Ferrograph (a British company specializing in tape recorders) monitor which was later adapted by IMF. Basically it consists of a short (compared with a transmission line) duct from the inside to the outside of the heavily damped enclosure. The duct is designed with approximately the same cross-sectional area as the loudspeaker cone. 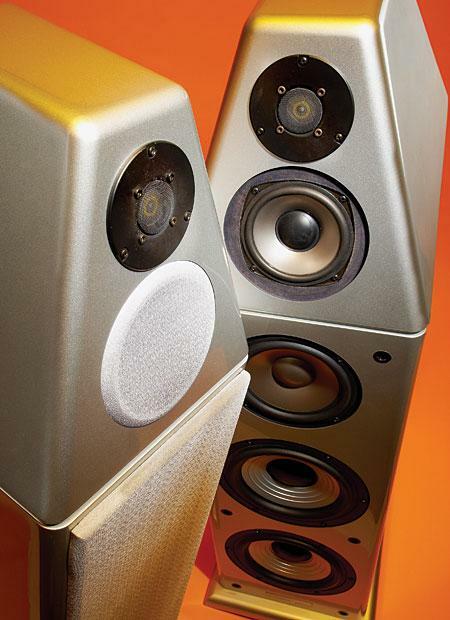 In the last issue we published a rather enthusiastic "Quickie" report on a small, $190/pair speaker system from a new company—the FMI Model 80. It was virtually devoid of low end, even as a stereo pair (pairing effectively doubles bass output), and slightly rough as well as a shade soft at the high end, but it had a quality of "aliveness" to it that almost defied belief. Was it a breakthrough in design? A new transducing principle? No, it was neither. In fact, the Model 80 looks like any one of those hundreds of little bookshelf systems that clutter, the pages of Stereo Review's "Hi-Fi Directory" in tedious profusion. Danish manufacturer GamuT Audio's patchy history in the US includes a succession of distributors that failed to establish the brand here. But in 2014 GamuT tapped Michael Vamos to spearhead their own US-based distribution company, which is now energetically promoting the company's products. 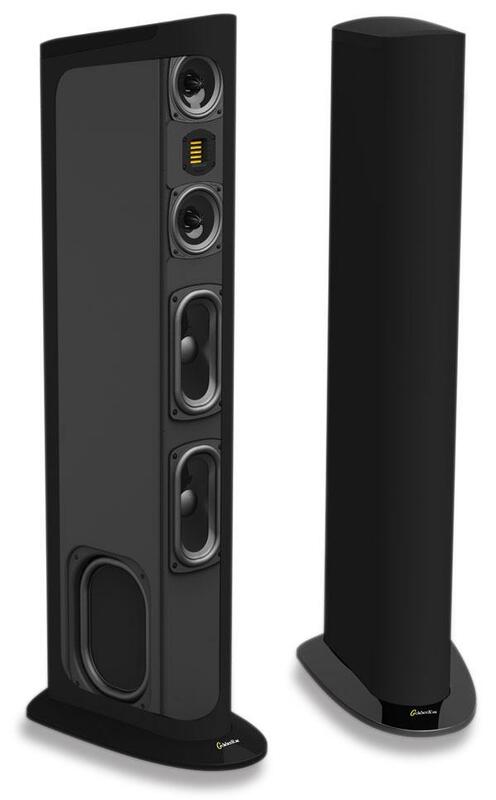 That change coincided with my auditioning, at the 2014 Rocky Mountain Audio Fest, of GamuT's two-and-a-half-way RS5 tower loudspeaker ($31,900/pair). I was sufficiently impressed that I asked to review itbut then, at the 2015 Consumer Electronics Show, I experienced the RS7. This was the GamuT speaker I wanted to spend some time with, and at the end of March, GamuT's R&D manager, Benno Meldgaard, joined Michael Vamos in setting up a pair of RS7s in my listening room. 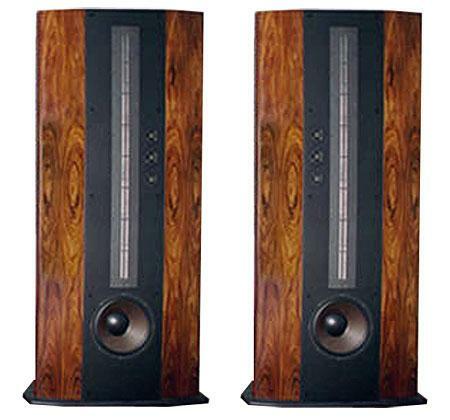 Genesis Advanced Technologies was formed in 1991 to manufacture loudspeakers designed by industry veteran Arnie Nudell, who was responsible, with Cary Christie, for some of high-end audio's highest-performing models when both were at Infinity Systems. The company was acquired a few years back by Gary Leonard Koh and some of his friends, but Nudell remains with the company as Chief Scientist and the company has offices and a production facility in Seattle. Whenever anyone marvels at the enormous Genesis II.5 loudspeakers in my house, I'm quick to tell them that the II.5 is the smallest, least expensive loudspeaker made by Genesis Technologies. 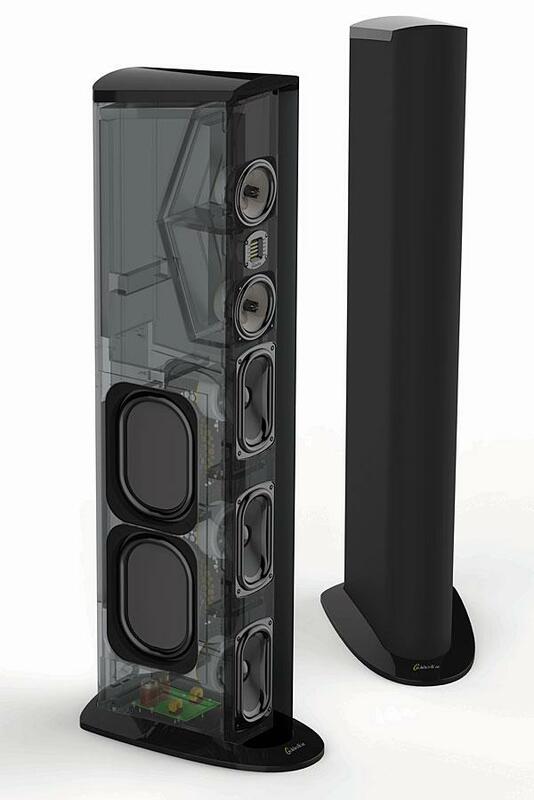 In fact, the company makes two larger speaker systems, the $33,000 Genesis II and the $70,000 Genesis I (footnote 1). 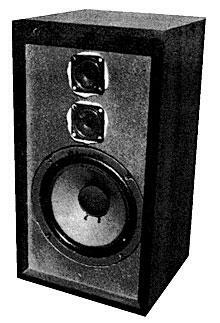 In Stereophile's "Recommended Components," most full-range Class A speakers—and even some in Class B—are behemoths. Some are tall, some are wide, some are deep, and some are just plain big. Most of us would find such no-compromise devices physically imposing and visually distracting in our listening rooms. Putting aside the infamous "Spousal Acceptance Factor," how can you ignore such speakers' presence and concentrate on the music? The loudspeaker designer's art has changed radically over the past 20 years. Although the goals are largely the same, today's designer employs tools and techniques unimaginable two decades ago. Computer modeling, powerful and affordable FFT machines, and sophisticated new driver technologies are just a few of the advantages enjoyed by the modern designer. The high-tech result is a vastly better loudspeakereven inexpensive products today are significantly better than those of even five years ago, never mind 20. 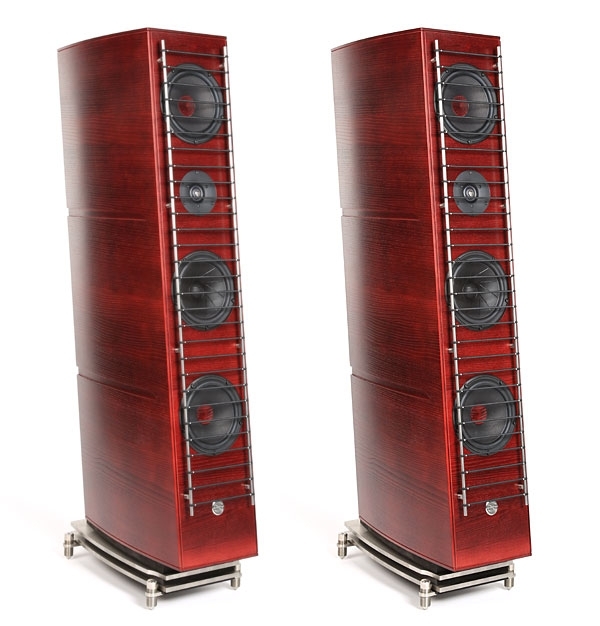 The new Genesis III loudspeaker shows just how sophisticated the designer's art has become. The Genesis III is as far removed from the cones-in-boxes loudspeakers of yesterday as a Ford Taurus is from a Pinto. Combining a radically different cabinet with unusual custom drive-units, the Genesis III is a paradigm of how high technology has transformed loudspeaker design. At last January's Consumer Electronics Show, one of the more musically satisfying rooms I visited in Las Vegas' Alexis Park Hotel was hosted by Canadian magazine Inner Ear Report. I had visited the room ostensibly to take a look at the Audiophile APS AC regeneration system, but I also wanted to give a listen to the Gershman Acoustics Opera Sauvage speakers that I had agreed to review for Stereophile—not just the speakers in the abstract, but the very samples that, after CES, were going to make the trek to my Brooklyn listening room. 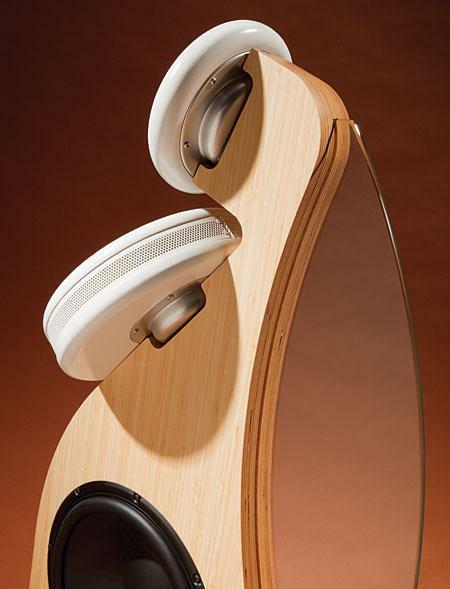 I reviewed GoldenEar Technology's first speaker, the Triton Two ($2999.98; all prices per pair), in February 2012. 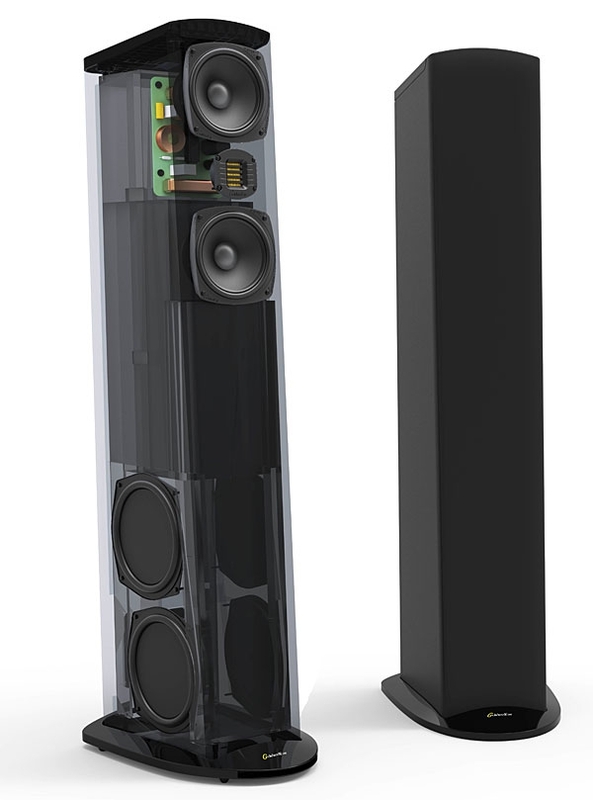 It was and is an outstandingly good speaker, but I thought then that if GoldenEar would apply the same expertise to the design of a speaker with fewer cost constraints, the results could be better still. Sandy Gross, president and CEO of GoldenEar, must have been thinking along similar lines when he named the speaker Triton Two, leaving One for a more ambitious future product. Back in January 2010, in Las Vegas for the Consumer Electronics Show, I was prowling the corridors of the Venetian Hotel when I bumped into loudspeaker auteur Sandy Gross, cofounder first of Polk Audio and then of Definitive Technology. Knowing that Gross was no longer associated with Definitive, I asked him what he was getting up to in his retirement. Retirement? He showed me a photo of a plain, cloth-covered, black tower speaker and promised to keep in touch. When next I heard from him, it was to announce that, along with his wife, Anne Conaway, and his former partner at DefTech, Don Givogue, he had started a new loudspeaker company, GoldenEar Technology, Inc., and that the plain black loudspeaker was the first in a line of models to be named Triton. With each review I've written for Stereophile, I've redoubled my efforts to choose my adjectives prudentlyto curb my penchant for overstatement. I've been feeling a need to speak more concisely and maturely about what my ears, mind, and heart experience while listening to music through a component that's new to me. 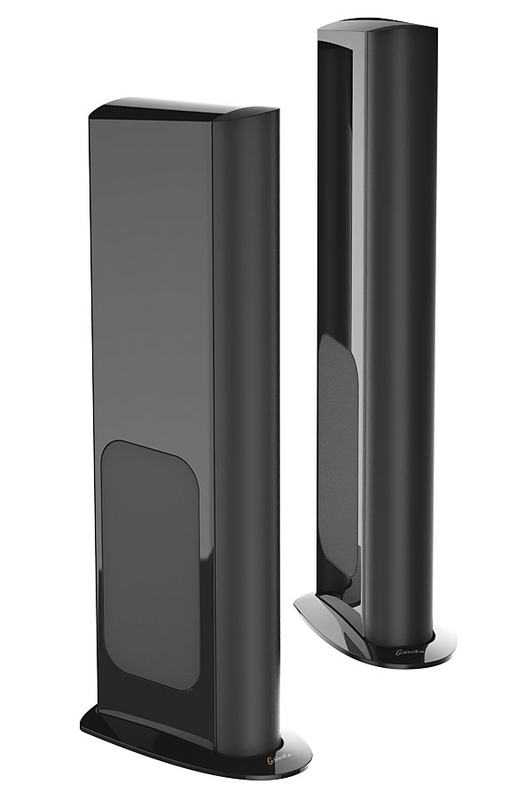 So today, at the start of this review, I ask myself: What adjectives must I use to describe the character of GoldenEar Technology's new Triton Five tower loudspeaker ($1999.98/pair)? Which words will best use our shared audiophile lexicon to give you a working vision of what I experienced? A clever engineer with an interest in home audio says that the real obstacle to high-fidelity sound is the adverse and unpredictable way in which speakers interact with most domestic rooms. To address that need, he brings to market a loudspeaker that disperses sound in a new and original way. Controversy ensues. Controversy endures. A.C. Wente of Bell Telephone Labs was apparently the first person to get the bright idea (in the 1930s) of measuring sound transmission in a small room. 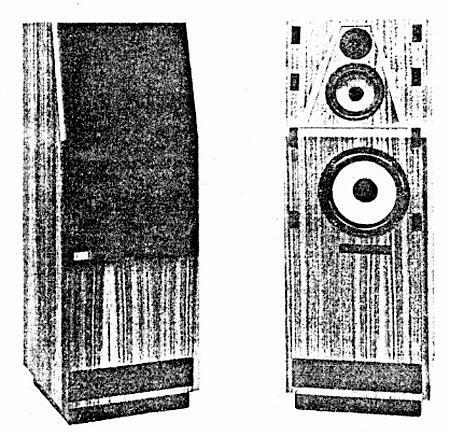 A loudspeaker at one point reproducing pure tones of constant power, and a microphone at another point measuring sound-pressure levels, gave him the means to assess the room's impact on sound quality. The measured frequency response was so ragged that I'm positive the venturesome Dr. Wente was duly shocked.